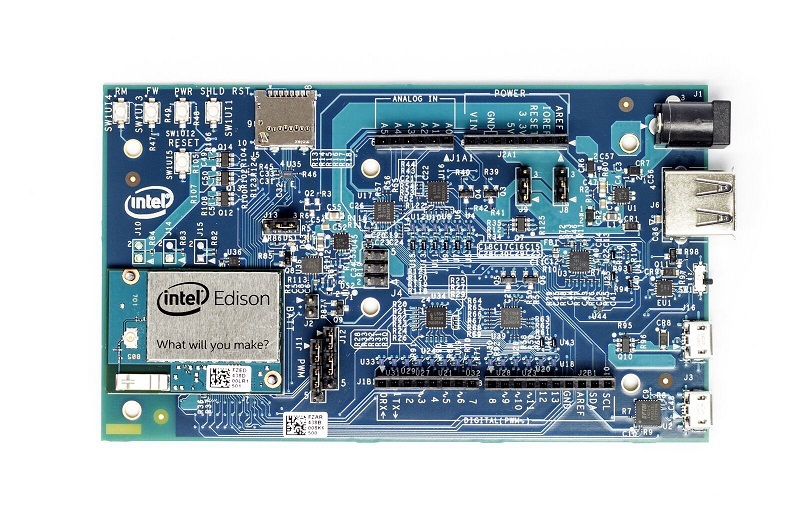 Uses a 22nm Intel® SoC that includes a dual core, dual threaded Intel® Atom™ CPU at 500MHz and a 32-bit Intel® Quark™ microcontroller at 100 MHz. It supports 40 GPIOs and includes 1GB LPDDR3, 4 GB EMMC, and dual-band WiFi and BTLE on a module slightly larger than a postage stamp. 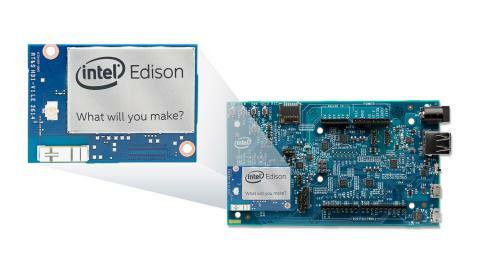 The Intel Edison module will initially support development with Arduino* and C/C++, followed by Node.JS, Python, RTOS, and Visual Programming support in the near future. It includes a device-to-device and device-to-cloud connectivity framework to enable cross-device communication and a cloud-based, multi-tenant, time-series analytics service. Has an SD card connector, micro USB or standard sized USB host Type-A connector(via mechanical switch), Micro USB device, 6 analog inputs, and 20 ditial input/output pins, 1x UART, 1x I2C, and 1x ICSP 6-pin header (SPI) Power jack with 7V-15V DC input.